This cozy 1 bedroom unit with recent upgrades, is located in the Main building, just a short walk down the hallway to the on-site Spa. Easily accommodates 4 guests with large bedroom and a sleeper sofa. 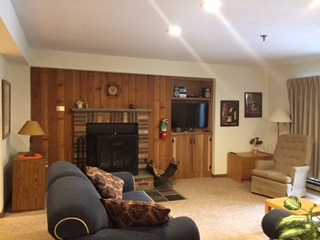 Rent this unit through Mountain Green Rental Company.